Whether it’s gaining the confidence that comes from learning how to swim or building the positive relationships that lead to good sportsmanship and teamwork from being part of a swim team, swimming at the Y is about building the whole child, from the inside out. 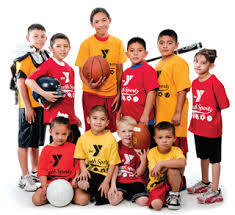 YMCA youth sports focuses on nurturing kids true potential. Whether your child joins one of our basketball leagues or plays in a flag football team they’ll discover a sports program that emphasizes developing sportsmanship. Additionally they will enjoy making new friends, and most of all they will have fun! All players enjoy equal play time, no try-outs and supportive volunteer coaches who are parents just like you.